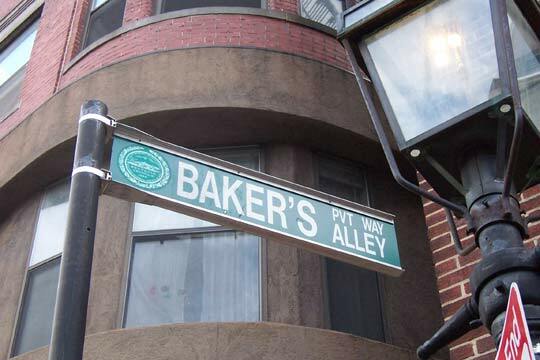 Baker’s Alley is located off of North Street, near North Square. 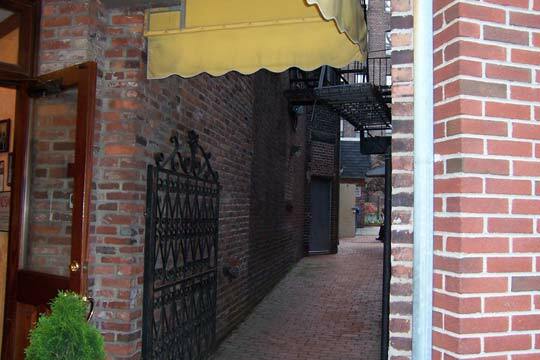 It sits to the right of the Limoncello Restaurant and leads to the rear of the restaurant and what appears from the street to be a private residence. 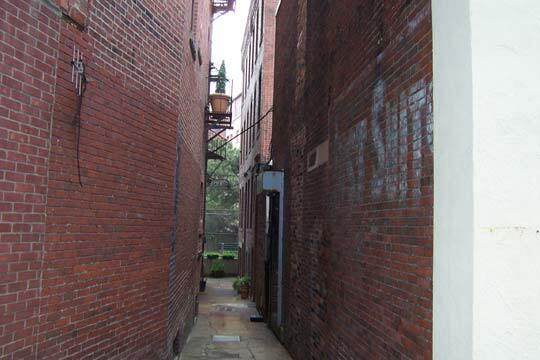 Quincy Court is a small alley that leads to the rear of a couple North Street buildings and the home to a “Just Suits” painted advertisement. 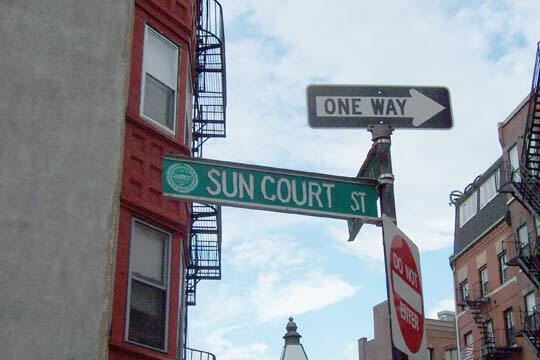 Sun Court Street runs between North Street and Moon Street. 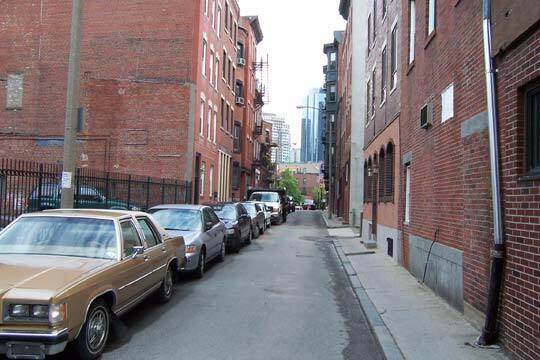 Note the wall mounted luminaries, most likely installed so that light poles would not take up any more room than necessary. 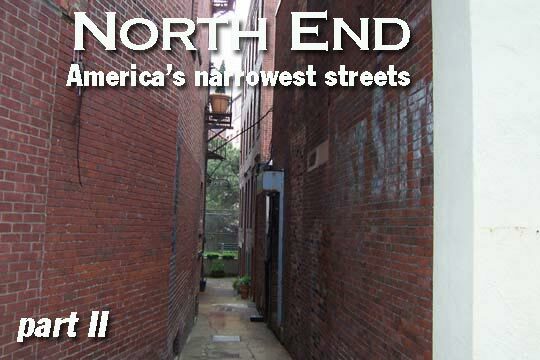 The Paul Revere House, the oldest in the North End (built 1676) can be found at North Square, the junction of Sun Court, Prince, Garden Court and Moon Streets. 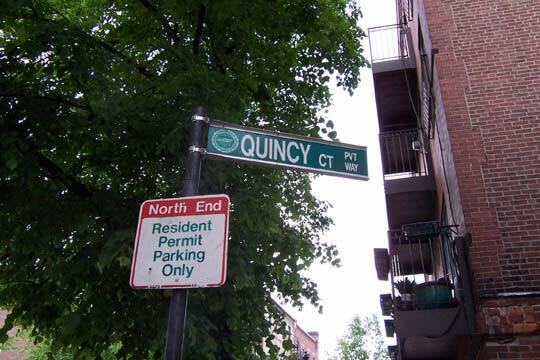 It was built on the site of the older Captain Kemble House. 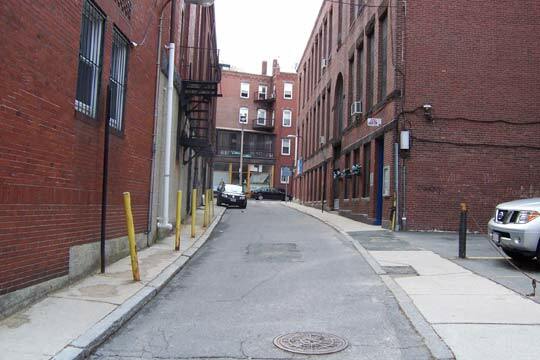 According to legend, Kemble had to spend several hours in the stocks after being convicted of “lewd and vicious” conduct. He was found kissing his wife on Sunday after returning from a long voyage. 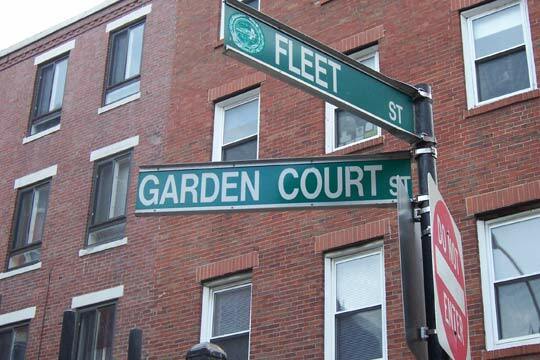 Garden Court Street runs between Fleet Street and North Square. 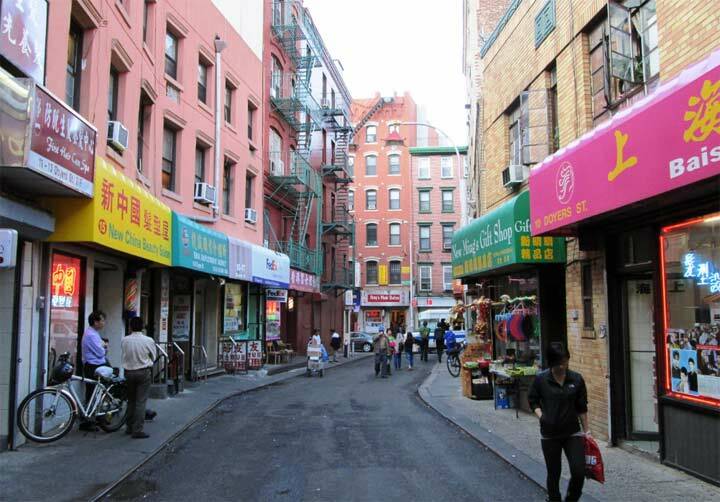 Though narrow it still shows a slight view of the Financial District. 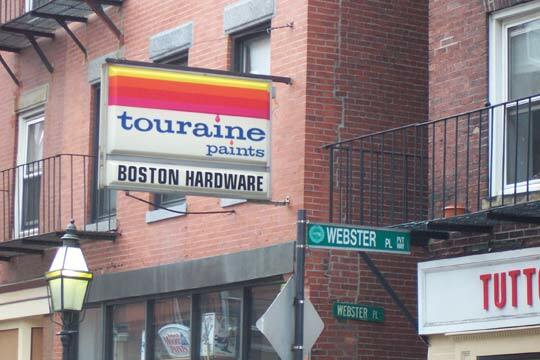 Webster Place, off of Fleet Street, sits next to Boston Hardware, which still sports this retro Touraine Paints sign. 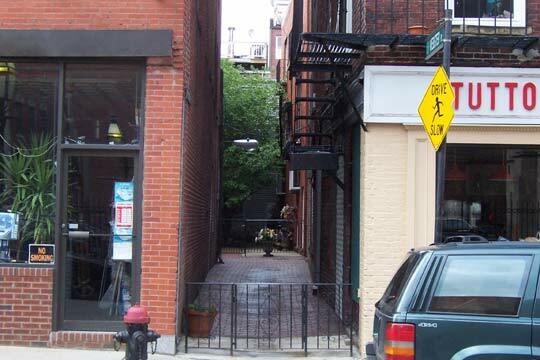 Note the (turned) luminaire inside the alley.